Come along to this joy filled evening of music and theatre celebrating the Birth of Christ. Free for children under 13. 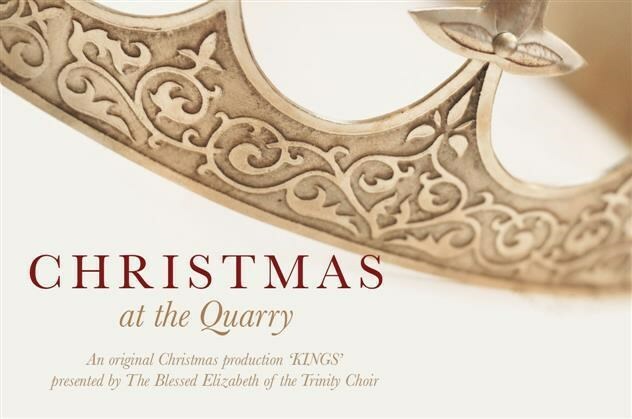 The non profit group Elizabeth Sacred Arts, along with The Blessed Elizabeth of the Trinity Choir and Orchestra will be presenting the evening which features an original theatrical production, "KINGS' and of course, carols galore, both familiar and lesser-know. With Concertmaster Paul Wright and Mezzo-Soprano Bianca Hurley leading the music and singing. Venue opens at 6.30pm for BYO picnics (alcohol permitted) for a concert start at 7.30pm. Come along to this lovely evening of celebration, singing and entertainment all at the quarry under the stars. Bring a picnic and even some bubbly if the mood grabs you.